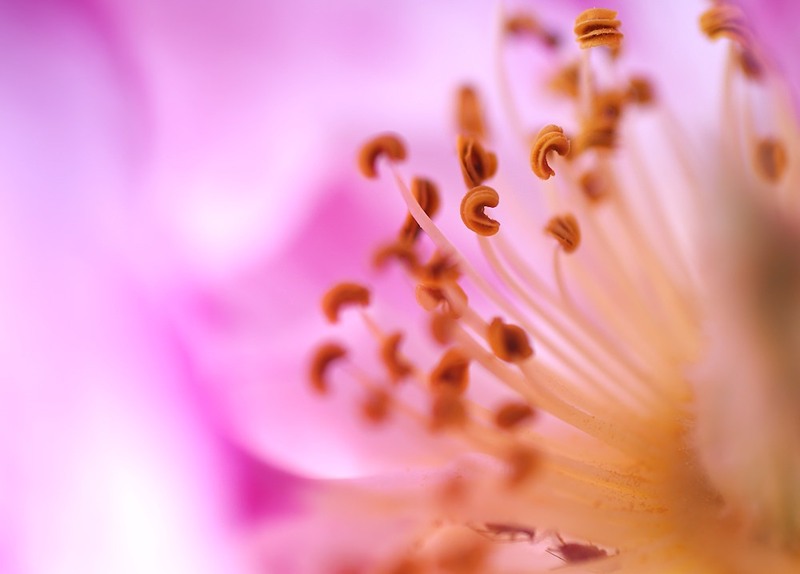 Get out your macro lens and shoot a few floral abstracts. 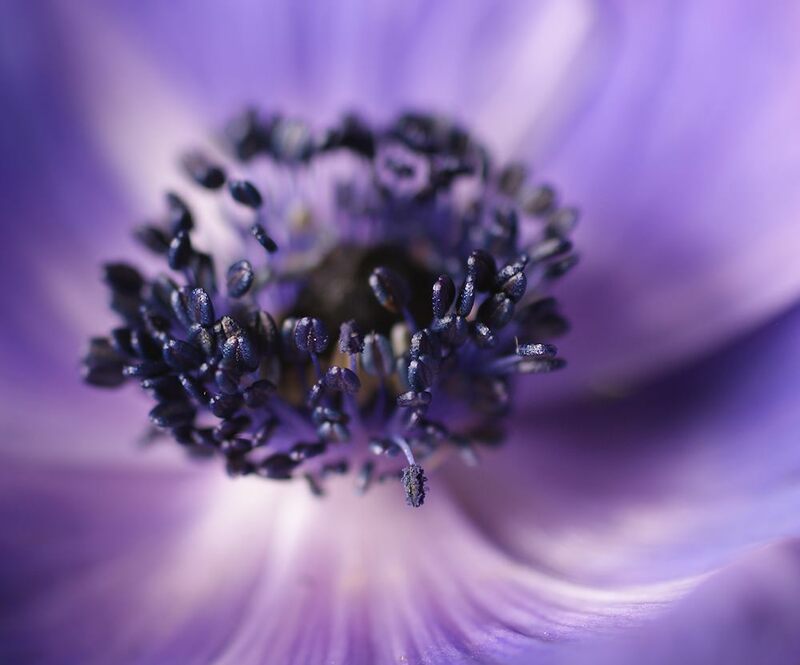 The most popular approach to flower photography is to include the whole flower but by getting in very close or by choosing a less conventional crop you can create a rather exciting image. Plus, it's a technique you can try all year round as you can just buy your flowers from the supermarket when there's none showing their heads in your garden. A greenhouse is a great location for shooting close-ups of flowers as there's plenty of light, you're sheltered from the wind and if the windows are slightly dirty the light will be nicely diffused. If you don't have a greenhouse work indoors next to a set of patio doors or a large window and use a net curtain or muslin to diffuse the light. Position your vase/flower pot so you can work directly above it then begin experimenting with different apertures and shooting distances to change the overall effect. Start with a nice wide aperture to minimise your depth of field and switch to manual focussing as you can get in closer than your camera thinks. 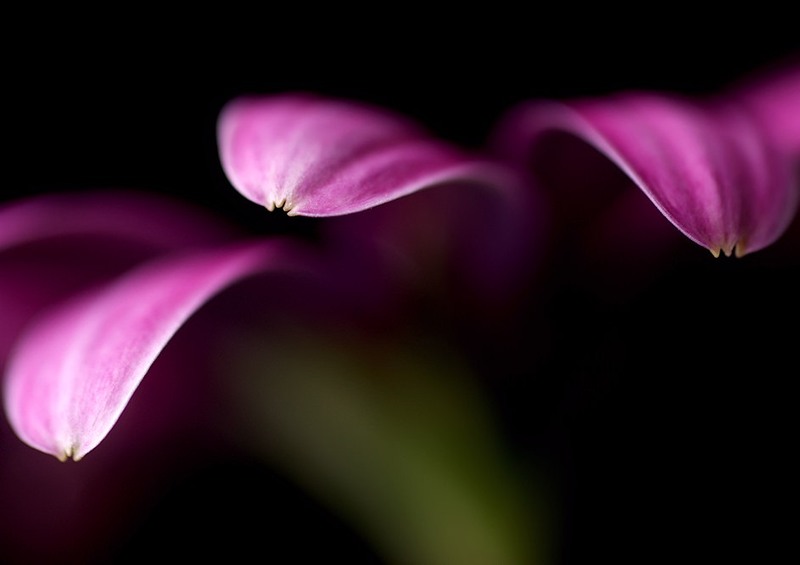 Although, it’s not even really necessary to have any part of the image in focus as the flower colour and shape can produce attractive abstract swirls of soft colour. If your camera has it, try experimenting with the Multiple Exposure Mode. This mode, which can be found on some Nikon models, allows you to take several shots on the same 'frame' which the camera then combines to create one shot. Having the lens sharply focused then defocusing as you move from exposure to exposure will give you a soft, dreamy look to your photograph. If you don’t have the ability to get in close then try some creative cropping. The sweep of a single Lily petal or the shape of an Iris lend themselves to close crops. Thanks Bob - apologies for the ridiculous delay!